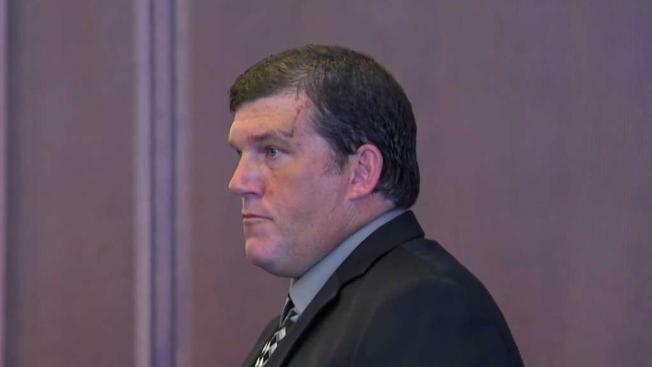 A Massachusetts man charged with biting off another man's finger during a brawl at a Plymouth golf course was released on $10,000 bail after pleading not guilty to charges of assault and battery, mayhem and disturbing the peace. A Massachusetts man accused of biting off the finger of another golfer during a brawl at a public course has been indicted by a grand jury. The indictment of 46-year-old Derek Harkins on charges of mayhem and assault and battery moved the case to Superior Court where he potentially faces more serious penalties. Police say two foursomes were at Southers Marsh Golf Club in Plymouth in August when one complained the other was cheating and too slow. During the fight, a 57-year-old man had the tip of a finger bitten off. It couldn't be re-attached. Harkins told police others were on top of him and he wanted them to get off. His lawyer said "things aren't always what they seem." He's free on $10,000 bail after pleading not guilty in district court.